During yesterday’s weekly Cabinet meeting, the Government of Belize (GOB) sought to carry out “damage control,” mainly in light of escalating public criticism arising from an ongoing scandal involving the disbursement of checks from the operating account of the Belize Airports Authority (BAA), which were made out either personally to Minister of State in the Ministry of Transport, Hon. 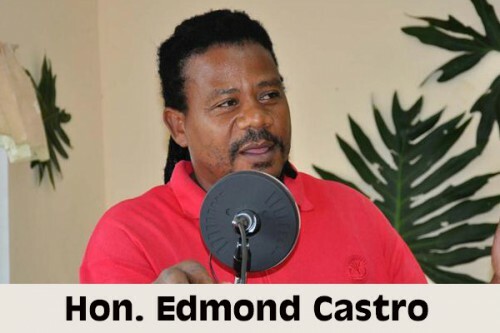 Edmond Castro, or on behalf of him. In an effort to quell some of the public’s indignation over this and other government scandals, Cabinet has made the decision to take several steps to address the allegations of wrongdoing and to, in some respects, dole out punitive measures for the erring ministers of government. Late Tuesday evening, Cabinet issued a press release, indicating that it had received an informal report from the Belize Airports Authority concerning the issuance of checks to, or on behalf of, Hon. Castro. The release goes on to say that the other checks, which were not in Castro’s name but were issued to help the Minister in his constituency, did not amount to even a quarter of the 70 alleged by the Opposition. Notably, no clarification was given as to how many checks were in fact issued in total. As a consequence, Prime Minister Dean Barrow decided that “the portfolio of Civil Aviation, which includes the Belize Airports Authority and over which Minister Castro exercised day-to-day jurisdiction, will be removed from the Ministry of Transport and placed with the Ministry of Tourism”, which is headed by Hon. Manuel Heredia, Jr.
Interestingly, Castro remains as the Minister of State in the Ministry of Works and Transport, with full responsibility for Transportation. For their role in what was described by the PM as “wrong, but not corruption,” the current Board of Directors of the BAA – chaired by Barbara Miller – will be asked to resign. Furthermore, to perhaps prevent similar “poor judgment,” the Solicitor General and the Financial Secretary will also be tasked with meeting with all statutory bodies to review operational protocols and advise on proper administration. Former Minister of State, Hon. Elvin Penner – who was the poster boy for another recent scandal, in the Immigration Department – also felt the effects of the Cabinet shakeup. According to the release, Cabinet has decided that ex-Minister of State Penner should turn in the government vehicle that he kept after he was removed from Cabinet as a result of the eruption of the “Penner Passport Scandal”. Penner will also be stripped of the Chairmanship of the House Committee on Public Utilities, Transport and Communications – a full four months and a week after being ousted from Cabinet and being told by Prime Minister Barrow that he should resign from the National Assembly. Although he will now be required to hand in the vehicle, Penner will likely hold on to the perks that he receives as area representative for the Cayo Northeast constituency. Recently, the Barrow administration has been seemingly besieged by the uncovering of a series of cases of corruption – some involving repeated acts—on the part of its Ministers, and the image of “transparency and accountability” that the Prime Minister had announced would be the hallmark of his administration has taken a severe beating.